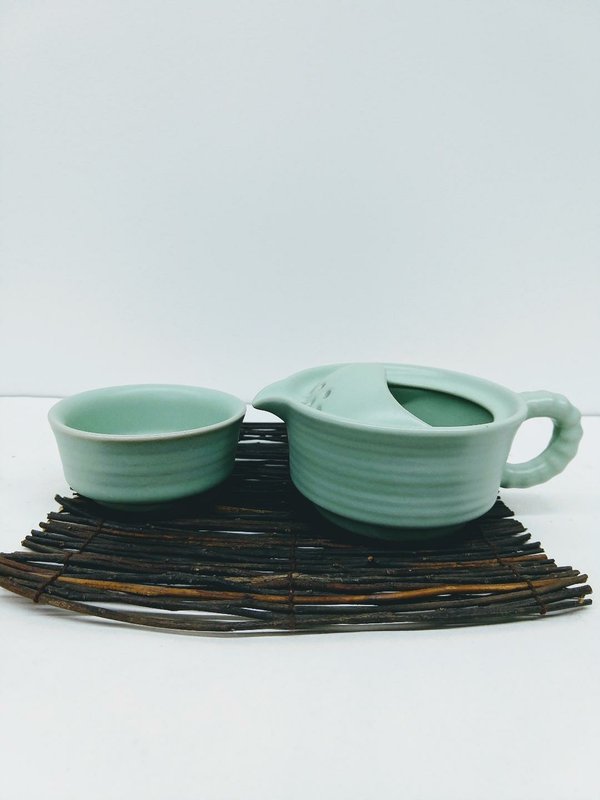 An attractive celadon Tea-For-One set. Cup also serves as lid. 5 1/4" tip of teapot to handle and 2 1/4" height. Cup diameter 3", height 1 3/8". Twig mat sold separately, $8.00. See Trays.